Great music, local acts, delicious food & drinks! 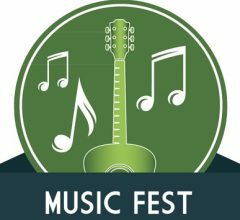 Music Fest 2019 will shake up the ocean breezes at Vilano Beach Oceanfront Park with two great band sounds! Bring a chair and enjoy sun and suds and sound for the afternoon of May 11, 2019 in beautiful Vilano Beach. Arts, crafts, vendors, food trucks and delicious food and drink!! This is the Saturday BEFORE Mother’s Day, so bring Mom for a great surprise visiting Vilano and the greater St. Augustine area.